Emerging star Nova Swiss confirmed his place as one of Singapore's most exciting gallopers when making light work of his rivals on Friday night. Having turned plenty of heads in his Singapore debut, Nova Swiss has since notched up four straight wins, by a combined margin of 15L. 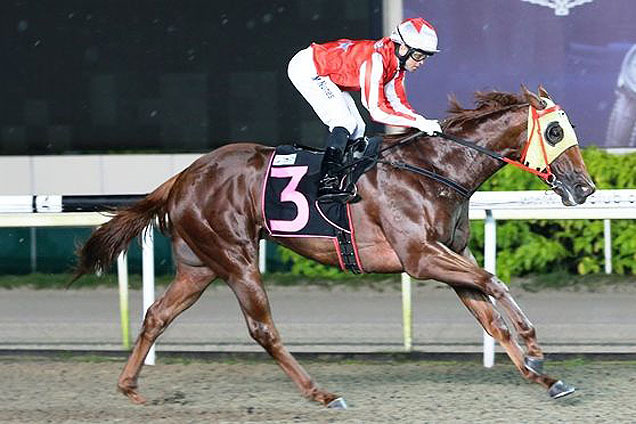 Formerly based in New Zealand the son of Swiss Ace displayed good ability in his five starts and has clearly taken that next step since transferred to Singapore. Now under the care of Alvin Tan, Nova Swiss has continued to raise the bar with his latest performance simply electric. Jumping away well from the inside draw, Nova Swiss held his position fourth one off the fence, with the Shane Baertschiger trained Mycaptainoblivious taking up the running. In firm control on straightening, Nunes always appeared confident and proceeded to take another grip approaching the 300m. Pulling his way to the lead, Nunes cut Nova Swiss loose inside the 200m and the response was devastating. In two strides Nova Swiss put a gap on his rivals and quickly drew clear, eased down late to score by four lengths. Sent out the prohibitive odds of $1.20, Nova Swiss was one for the thrill seekers however he never gave his backers any concern. Improving seven pounds on his previous best, Nova Swiss continued his upwards spiral and also recorded his strongest performance against the clock. Having won over both 1000m and 1100m, he was yet to tick the 1200m box, however it would prove no issue for the son of Swiss Ace. Friday's event was certainly a stern test for Nova Swiss and he again made his rivals appear second rate. No question he is a Group class sprinter and if able to continue his progression, Nova Swiss is on track to be labelled Singapore's best sprinter by the end of 2017. 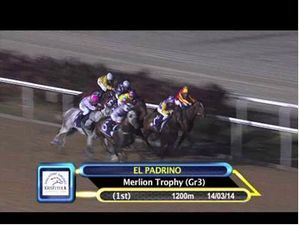 On raw times only Spalato has gone faster over 1000m this year, recording 57.93 seconds back in February (14/02). To place that into perspective, since 2008 only three horses have been recorded faster than Spalato, which highlights just how impressive Nova Swiss' performance was two back. Following Friday's success it is expected that Nova Swiss will now target the Group 2 Merlion Trophy (1200m). The feature sprint race is the first Leg of the Singapore Sprint Series and is a race Tan has a good record in, having won it three times in a row between 2013 and 2015 (Speedy Cat and El Padrino twice). Although clearly another step up for the three-year-old, on what we have seen to this point he is more than up to the task — he is a star!